Came missing a part or two, but it still looks nice. I do not recommend . Parts and mounting holes do not match. happy with desk, hard to put together, poor directions. Fast shipping... Thanks will definitely do business with again. 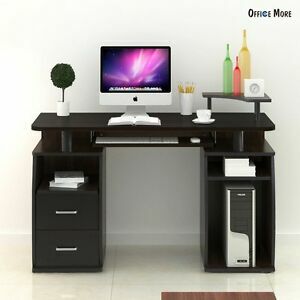 Nothing against the seller, but the manufacturer if this desk should be ashamed. Got my item earlier than was told which was nice.